A thread on SwingTrading after event: its high risk and reward when there is an event like result day. So I thought of writing a thread about it using options to hedge and how to protect risk for limited time. 3/n Only experienced veteran can buy Future here in gap down opening. We can use #options2hedge & hedge has cost which we will minimize. 1) Let's reason out why the #GFS tracks #Florence NE of the #ECWMF even now 3 days till verification? Look at the upper-level cirrus canopy b/c cloud-radiative feedback is important. The #GFS has a thicker & more expansive cirrus plume NW of #Florence. What is its significance? 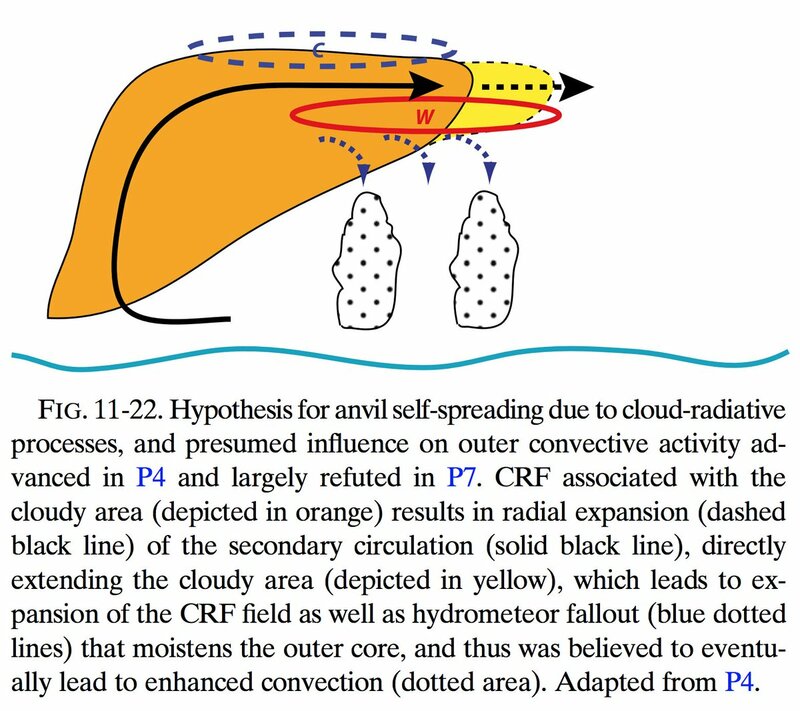 2) The cirrus in a #TCs outer core enables cloud-radiative feedback, w/ lw warming under & lw cooling above clouds. Warming under clouds enhances convective activity in the outer core, broadening the tangential wind field. 3) What happens when you broaden the tangential wind field? You induce stronger "beta drift" which draws the TC further north & west due to advection of planetary vorticity around the TC field.